Summer is now in full swing and we seem to be going through ice lollies by the pack. Most ice lollies aren't great for you and can contain many additives we don't really want our children having. 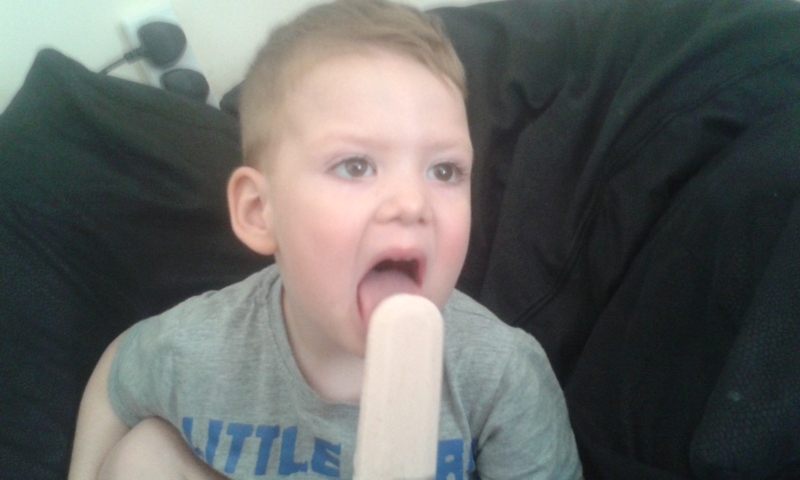 When I was contacted about trying the Claudi & Fin Greek Style Frozen Yoghurt Lollies I knew that D would be excited to try them. Ice lollies without all those bits in is what he needed summer. We've recently been having Greek yoghurt over fruit and D loves it, it has become a favourite for dessert in our house over the last few weeks. I had heard of Claudi & Fin before but we had never bought them, mostly because I forgot to look for them! 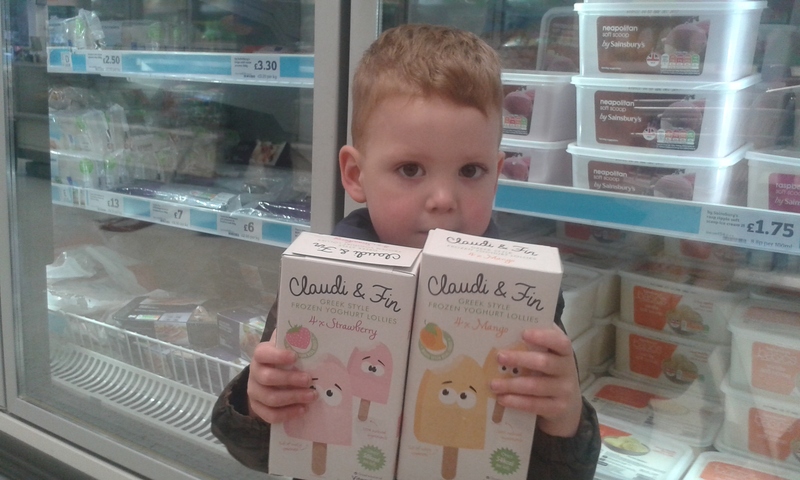 Claudi & Fin was started by Lucy and Merial who wanted to create a healthy ice lolly for their children Claudia and Fin after search for one that both tasted nice and was healthy for them. After months of trial and taste testing the recipe for Claudi and Fin was perfected and it was both delicious and healthy! The perfect combination for a children's treat. 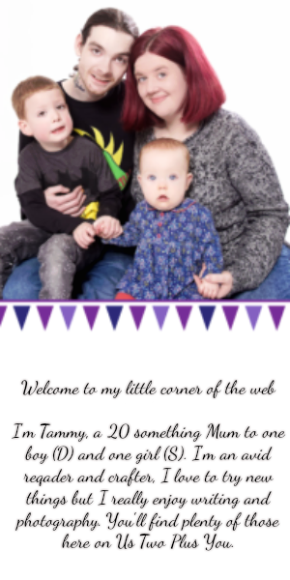 Their children lived and Sainsbury 's loved them just as much. So much in fact that they put them straight into their stores. We got some vouchers in the post to pop by Sainsbury 's and get our own lollies (sending them in the post would be a disaster! ). We set off the other Saturday for our trip to Sainsbury 's, D was super excited about getting some new ice lollies to try. When we found them in the freezer he refused to put them in the basket! Instead he carried the packs around the shop before he put them in the bag. He loved the box's and their funky designs of lollies with faces. He kept telling me about their eyes and was making them talk while holding the box in front of his face. He wanted to get stuck in the moment we got home! He wanted to try the strawberry flavour first. 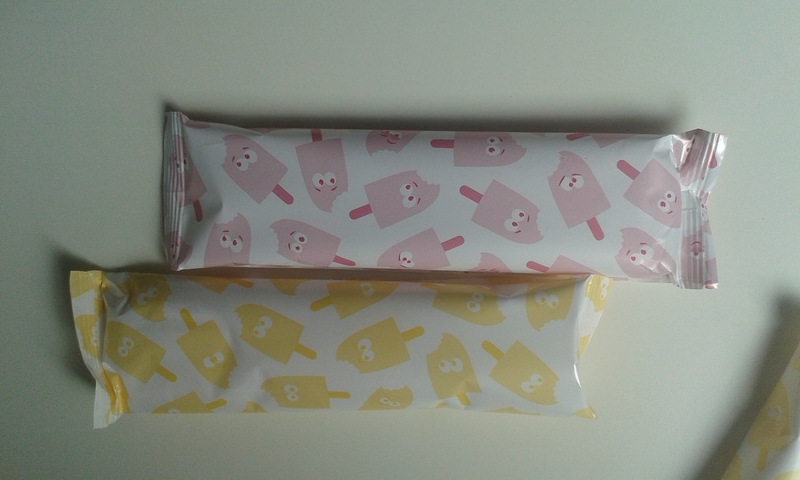 So we opened the box and I was a little surprised by the cute packets each lolly comes in. They're fun and enticing, plus they're very easy to find if you pop them in the freezer out of the box! The strawberry flavour has the little pink lolly character and the mango flavour has the yellow lolly character as you can see above. D loved the strawberry flavour mixed with the taste of the greek yoghurt. Having them mixed so well together in the convenient form of an ice lolly was a huge bonus for me. There was no need for a bowl or spoon and D could still enjoy all the goodness that is packed inside. I don't think he was quite so keen on the mango flavour as he didn't want to finish his mango lolly and he kept pull pulling this face. He did try it a few times though. D can be a little iffy when it comes to mango flavour products and he can hate the flavour mixed with anything else. Although he does enjoy mango I think the combination of mango and the greek style yoghurt was the taste that he didn't really like. I have been enjoying the rest of the box instead and I must say I really didn't think I'd like them as I'm not a great lover of greek style yoghurt. They taste lovely and surprisingly refreshing on a hot day! The ingredients that are inside Claudi & Fin Greek Style Frozen Yoghurt Ice Lollies can be seen in the picture above. As you can see there's no nasties in there and the ingredients are easy to read as well as knowing what they are! All to often I find children's products contain ingredients I can't even say never mind know what they are! I love that they are both child and parent friendly. All in all we have loved the Claudi & Fin Greek Style Frozen Yoghurt Lollies. D really loved the strawberry flavour, so much that we've bought another box since! I do enjoy the mango flavour and Knowing they are good for me means I can enjoy a lolly packed with goodness along with D because let's face it kids ice lollies always taste better! I would recommend Claudi and Fin Greek Style Frozen Yoghurt Ice Lollies to all parents. It doesn't even have to be hot to enjoy these lollies! 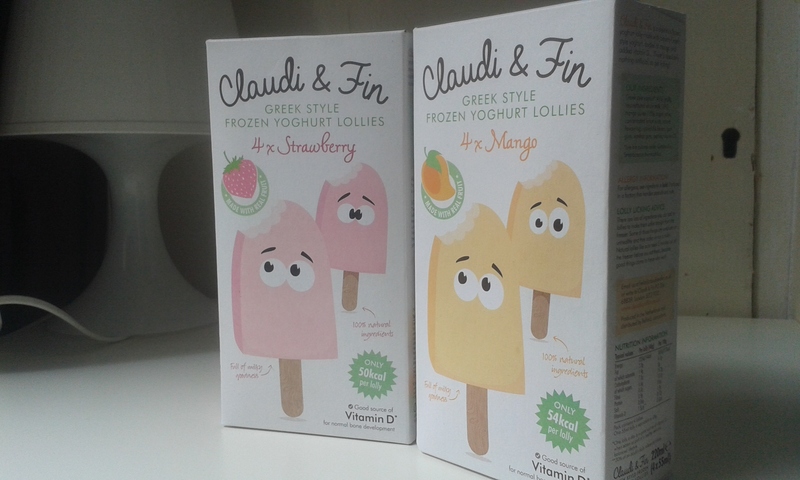 You can purchase Claudi and Fin Greek Style Frozen Yoghurt Ice Lollies in both Mango and Strawberry at Sainsbury's. Each box contains 4 lollies and have an RRP of £2.50.